Eating is a national hobby in Singapore. It goes without saying that we have many fantastic restaurants. When it comes to eating out, I have two preferred kinds of restaurants. The first is just about food. Service and ambience are not important so long they give me good food. And of course, the other is all about the ambience. Everyone should spoil themselves a little by celebrating a special occasion in a romantic restaurant. You know, the kind of place where you can bring your partner for a nice date, and have a wonderful dining experience. 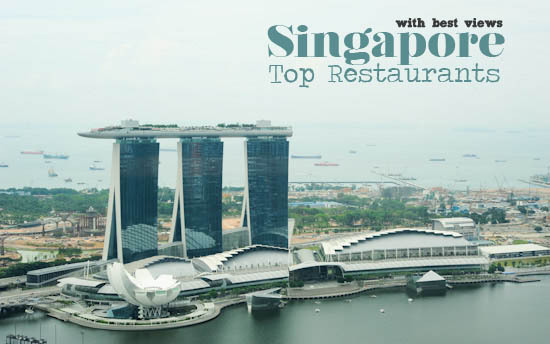 Luckily for us, there are many romantic restaurants in Singapore with good ambience and view. Let’s dine with a view! 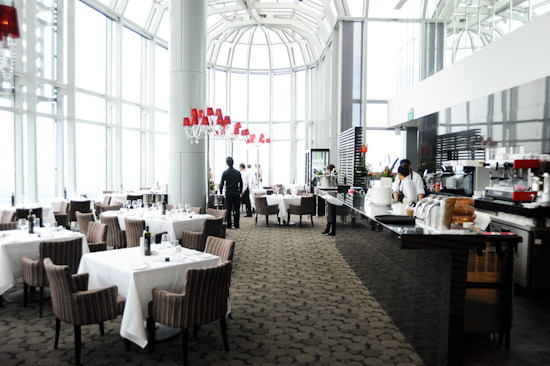 With 360-degree sky dining view, the latest creation of the 1 Rochester Group, 1-Altitude is definitely a strong contender for the restaurant with the best view in Singapore. Looking for a place to party after work? Check out the world’s tallest al fresco rooftop bar 1-Altitude. Be it the Weekday Semi Buffet Lunch ($59++), Sunday Brunch Buffet ($128++), Pink Brunch Buffet ($148++) on every last Sunday of the month, or afternoon high tea international buffet ($43++), Equinox, the highest restaurant in Singapore, is the perfect place for any special occasion. I’m in love with the restaurant. Together with Equinox restaurant, City Space cocktail lounge and New Asia Bar, Jaan is located up on the 70th floor at the Equinox Complex of Swissotel the Stamford. Even though Chef Andre Chiang is no longer with Jaan, the restaurant is still the restaurant to beat for the best view in Singapore. What’s there to say about Ku De Ta? The classy rooftop venue is the place to see and be seen. 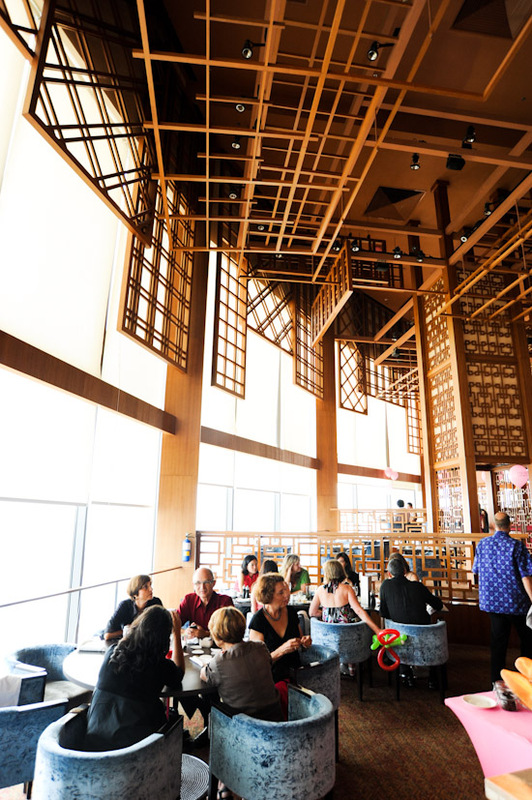 With a stunning view of the city’s skyline, Ku De Ta is an exciting addition to the vibrant Singapore food scene. Residing in the penthouse of Marina Bay Financial Centre (MBFC), Level 33 restaurant gives you the gorgeous view of Marina Bay. Their tagline ‘experiential penthouse dining in the World’s highest urban craft-brewery’ says it all. The executive set lunch at $33++ is definitely a good excuse to have a long lunch. The location of MBFC also makes Level 33 the place to bring your clients for a business luncheon. Peach Garden is known for their traditional Cantonese cuisine. 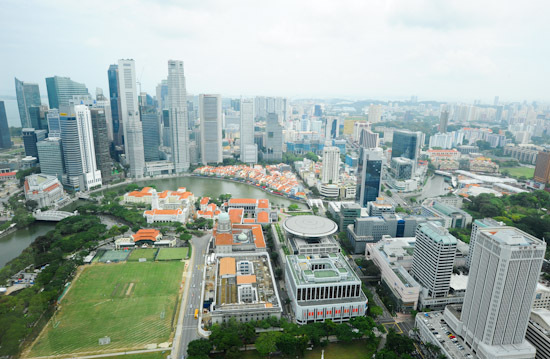 Their branch at OCBC Centre level 33 in the Executives’ Club offers a great view of Downtown Singapore. If you are there for dim sum lunch, be sure to try the signature custard buns – they are one of the best in Singapore. Easily one of the most romantic restaurants in Singapore. In order to get to level 60 of UOB Plaza where Si Chuan Dou Hua Restaurant is, you need to change two lifts, but trust me, the magnificent view up there is worth the extra effort. Tian Fu Tea Room, by Si Chuan Dou Hua Restaurant, boasts the first teahouse concept within a restaurant in Singapore. They have an Imperial High Tea (pairing of 3 different tea and 8 dim sum items) which is ideal for a leisure afternoon. With a great view and the indulgence of tea pairing with dim sum, this is definitely one of the best afternoon tea places in Singapore. Thanks for mentioning about 1-Altitude (Stellar)! Thanks very much for the mention of Hai Tien Lo! My wife n I is celebrating our 1st anniversary next week, can u recommend mi a gd dinner rest? We are celebrating our 7 years anniversary. Could you recommend a dinner and activities restaurant for me, my wife and our 6.5 years old daughter. Barnacles restaurant at Shangri La’s Rasa Sentosa Resort would be an interesting addition to this list. Because of the sea view it offers. Sunsets are brilliant when dining al fresco. Occasionally free roaming peacocks are seen around the area as well.